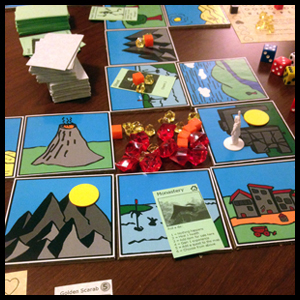 A fantasy adventure board game for 2 to 4 players. 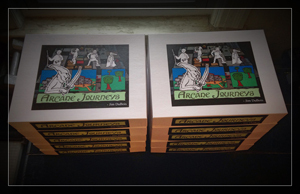 A limited edition of ten copies. Classic yet whimsical adventuring in a distant land gradually overrun by monsters. An RPG boardgame in the tradition of Talisman and Runebound. Every part of this game is dynamic and re-arrangeble, from the board laid out with tiles, the different characters you can choose to play, to the final monsters you must defeat, making each play fun and unique. Sold Out! Send a message to bug me about making a new edition.